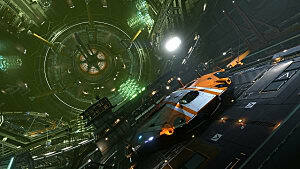 There are different ways you can pilot space ships in the acclaimed MMO Elite: Dangerous. Since the game is about flying, it seems completely natural that a joystick would be the best control option for all pilots in the game. 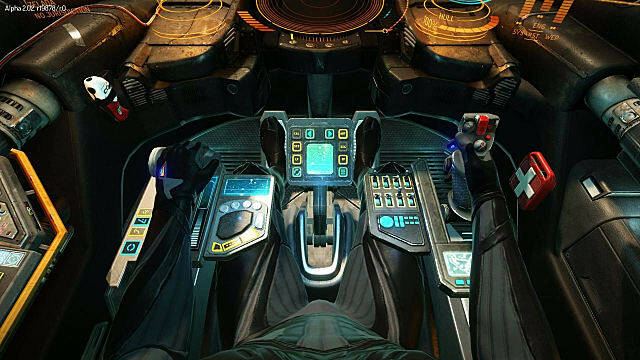 One look at a cockpit in an ED space ship -- and some basic knowledge about the game's complexity -- makes it readily apparent that just any joystick will not do. 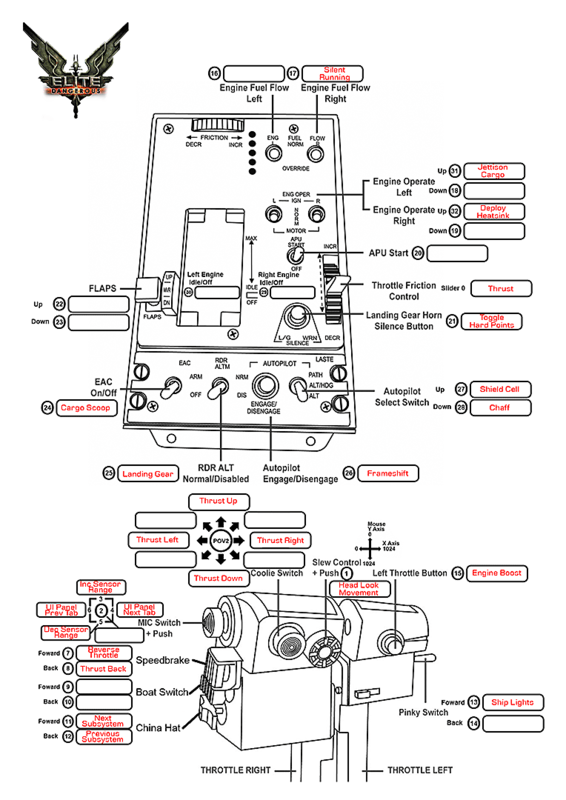 Hands on throttle-and-stick systems (or HOTAS) are the next best options because of their throttle and significant button and switch mapping, which is ready for immediate in-game binding. They're also able to operate all functions necessary to keep ED commanders alive in space. 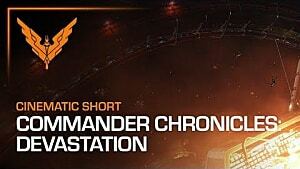 It's no wonder that most of the commanders in ED have decided to use different HOTAS systems to control their ships. 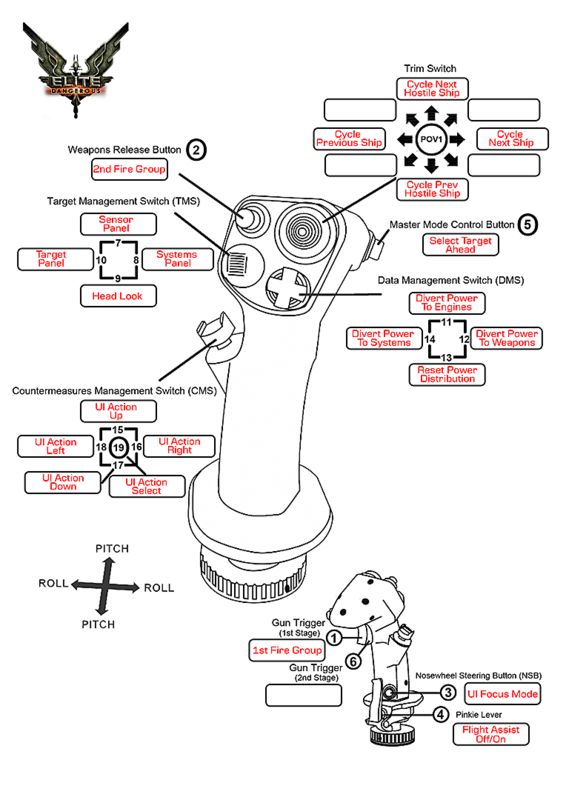 Below are the binding options for one of the most popular HOTAS control sticks. 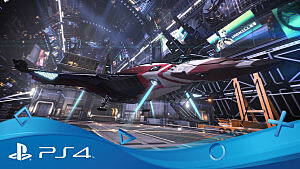 It shows off the serious complexity of the bindings and gives proper perspective to the subject -- piloting your ship is the matter of in-game life or death. 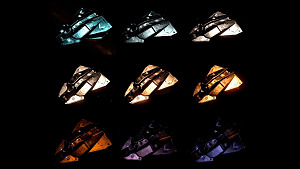 To establish which HOTAS is the chosen one by ED Commanders, I went to the source -- I asked members of the biggest in-game group of players called the Elite Dangerous Community. Many commanders answered that the Best HOTAS for Elite: Dangerous is Saitek X52 Flight Control System. According to 82 players, the X52 is the only real option for game. It has not only enough buttons to be bound, but it's layout is also exactly of the right design for playing ED in the most optimal way possible. According to and IGN review, the X52 is a good looking and ergonomic HOTAS system, which should be considered by many players as a very good option for flight simulators and space simulators. 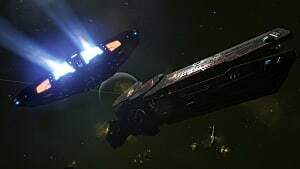 To be clear, according to Commanders using this system to play Elite: Dangerous on a daily basis, the X52 is far from perfect: It's not sturdy enough and prone to micro switch failures. Regardless, a lot of those asked confirmed that if they were thinking about ergonomics, the X52 leaves all other HOTAS systems in the dust. It seems that also the system's visual similarity to ED's in-game HOTAS system (the one visible in every ship cockpits) plays a vital role in the X52 being the best option for ED. "I really think the X52 is king"
But what about the X52's competition? 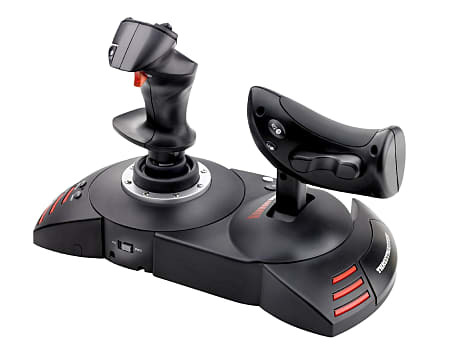 Thrustmaster T-Flight Hotas X -- This is a very interesting HOTAS system. It's the simplest on the market because it a.) doesn't have many buttons and b.) has fewer switches. This means ED commanders aren't able to bind as many commands to the stick. It's (probably) popular mainly because of the price, which is much lower than the competition. Thrustmaster T.16000M FCS - This HOTAS was designed especially for Elite: Dangerous, although it's not as popular as the X52 because of some design and button placement issues. 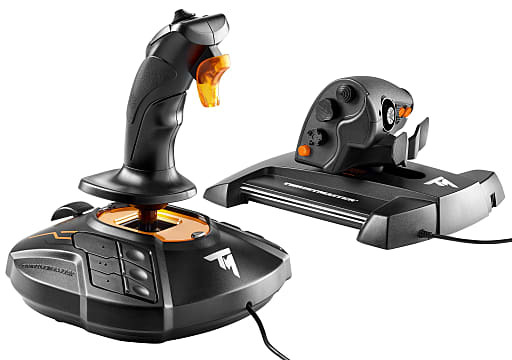 It is very strange that the Thrustmaster T.16000M FCS Flight Pack was not designed to look like HOTAS in ED ships, especially considering its target market. 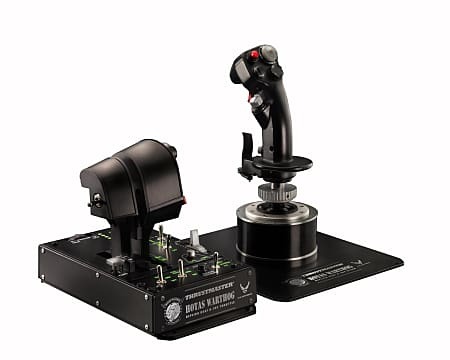 Thrustmaster Hotas Warthog with H.E.A.R.T - This is the one and only full-metal HOTAS system, which is based on the original A-10 Warthog fighter place HOTAS. On the surface, it seems that this should be the most popular HOTAS on the market, since it is a 1-to-1 replica of the actual aircraft HOTAS. 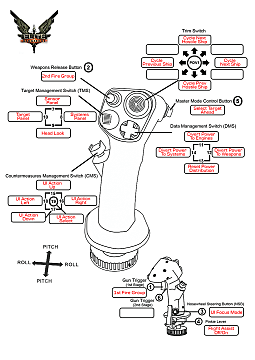 However, as the Warthog had no z-axis in the control stick, this feature is also absent from the gaming HOTAS, which means that while ships can fly up, down, right, and left in-game, they cannot yaw, making the ship relatively useless. 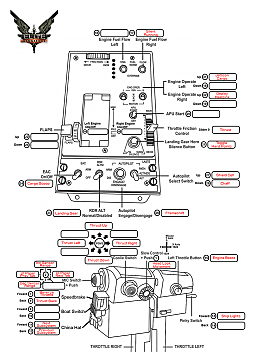 And although this HOTAS does have a bit of a dedicated cap on throttle and assign-to-yaw function, many ED Commanders find this HOTAS too complicated to use efficiently. 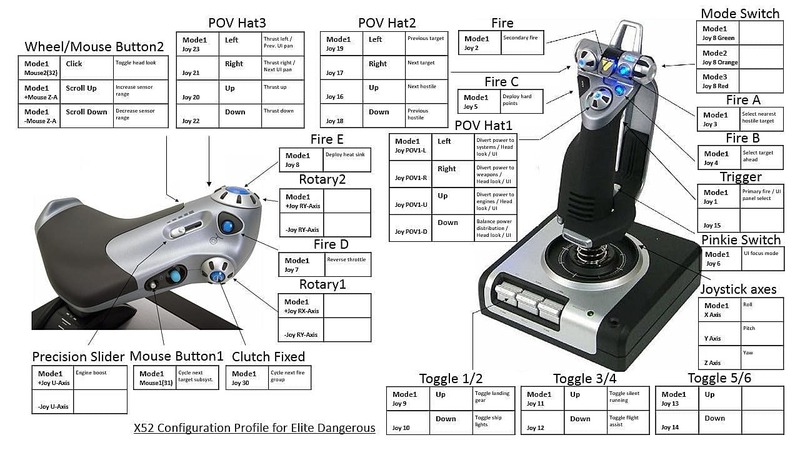 Saitek Pro Flight X-56 Rhino H.O.T.A.S. 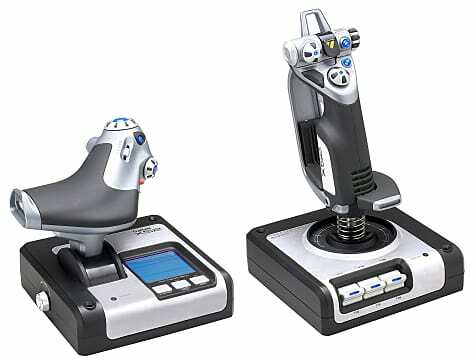 System - This HOTAS is supposed to be a better version of the X52, but it never gained the same popularity as the X52. Mostly due to its poor build quality. 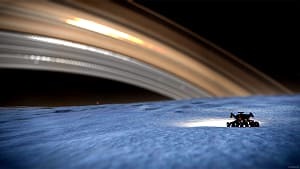 Commanders from the Elite Dangerous Community added to the list another 20 HOTAS options, which included a few other HOTAS systems on the market and various options for piloting, such as dual joysticks, game pads, and keyboards and mice. With all of these options, it's obvious it's all down to individual pilot skill and how good they are going to be flying in space. 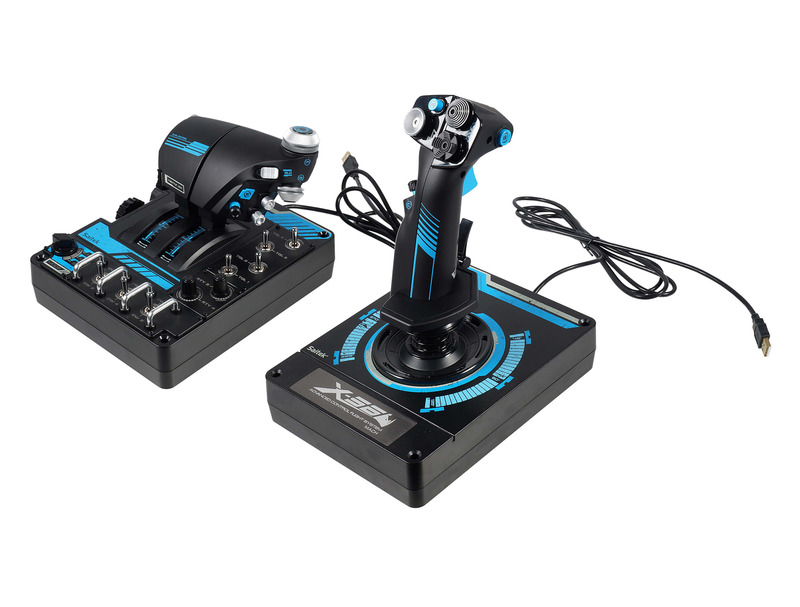 But at the end of the day, the Saitek X52 Flight Control System makes the task of flying the absolute easiest. You can buy the Saitek X52 Flight Control System here. What kind of flight system are you using? Do you think it is better than X52 from Saitek? Let us know in the comments below! 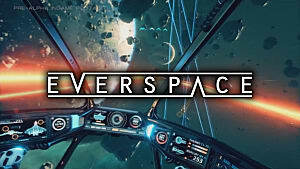 Love Everspace? 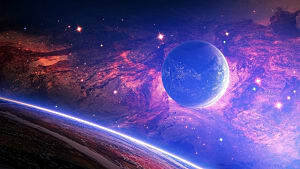 Try These Space Adventures, Too!